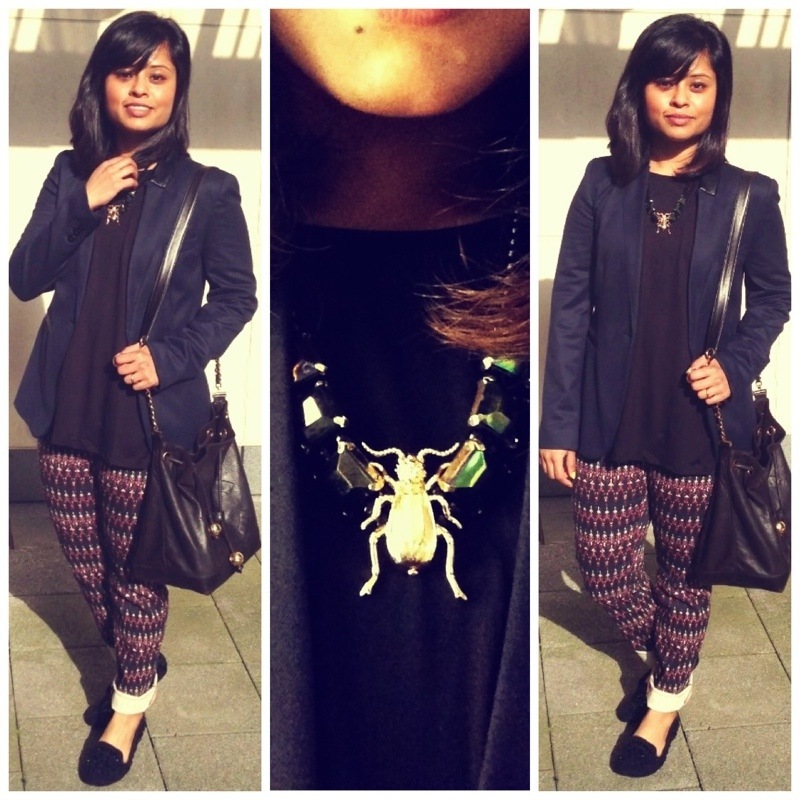 Cute – love how you incorporated the print on the trousers into the outfit so smartly! stunnig as always ! how are you Kavya ?